Cat’s Fall Special “Spotlight” ~ I Welcome Writer of Music, Performer, and Author, John Tracy To Cat’s Den… | "Cat Lyon's Reading & Writing Den"
Hello and Welcome Friends, Readers, and Music Lovers! I am so excited to do something a little different for all my friends and readers who love music! Since starting my new “Fall and Winter Featured Spotlights” for everyone, I wanted to share a new friend I met on Twitter who is an author, but mainly a writer of lyrics and a performer of fantastic music. Please meet John Tracy, everyone! John Tracy has a reputation for crafting lyrics that cut right to the heart of the matter, making his music relevant to all of us on this human journey. Inspired by his folk, blues and acoustic rock influences, his songs fortify the human connection – truly REAL MUSIC FOR REAL LIFE. He is a national charting artist having two singles from his latest album “Happy Ever After” reach the top 10. His newest single, “Fairytales Come True” was the number one most added song two weeks in a row in its release to radio and stayed in the top 10 for five weeks, topping out at #5 on the National FMQB Adult Contemporary chart. The title track from the album, “Happy Ever After” also debuted as the number one most added song in its initial week to radio and rose to #10 during its time on the chart. Both singles were included in the United Kingdom’s “Brit Rock Show,” syndicated to 81 UK radio stations as well as five other syndicated shows across the UK and Europe. Their associated music videos have attracted attention from all over the music video programming spectrum, including video-on-demand, multi-market, retail pool/content providers and internet programmers, being shown in prominent retailers, nightclubs and restaurants in the US and Canada. Let’s get you introduced to everyone, shall we? Hey everyone – so happy to be with you today! Tell us your name and a little of what you do? by John Tracy Wilson on Amazon! I was born and raised in Fort Worth, TX and lived there until about five years ago when we moved to Virginia. I now am living in Richmond. Tell us more about you? Like your education, family life. Etc. I am married to my soulmate, best friend, anchor, and business partner, Teri. We celebrate our 34th anniversary this month. We have two amazing daughters (though who doesn’t think their kids are amazing?). Both are grown and have launched out into their own lives. I am a full-time songwriter and performer. It wasn’t always that way as I had my turn in the corporate world, but that’s a long story for another day. Do you have any latest news? Well, let’s see – I released a music video a little over a month ago titled “Midnight Moon.” It’s a song I wrote in response to all the craziness going on in the world today. I actually wrote it at the beginning of this year, but it amazes me how almost every day it finds new relevance. I am a writer – mostly a songwriter, but a few years back I was encouraged to write a book, so I tried my hand at being an author. I almost found it refreshing. In a song, you work so hard to condense the story you want to tell down to fit into a melody. When you are writing a book, you have more freedom to tell the details. I began writing songs in my early 20s. From an early age, I was drawn to music. My mother had this amazing album collection of all the 50s and 60s greats. We had this huge console stereo system – the kind that sat in a big cabinet. I would play her albums for hours. As I became a teenager, I turned my attention to the 70s singer-songwriters who seemed to write about the things that I was going through. Their music spoke to me on a deep level. At 16 I started to take guitar lessons and before long, I was dissecting my favorite songs on my reel-to-reel, learning how to play each one note for note. By the time I started my 20s, I wanted to do more than just play the songs of my musical heroes. I wanted to make my own music. So I started attending workshops and reading books on the art of songwriting and developed my own style from there. I wrote my first song right around 20. Now over the years, I’ve probably written more than 100 songs. I have five albums out and am working on my sixth, which should be out later this year. When I perform, people always are interested in where my songs come from. So that’s where I started. I took some of the fan favorites and began by sharing the backstories. 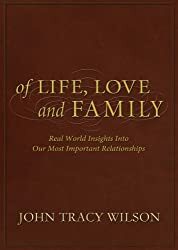 From there, the book seemed to take on its own course as I opened up about the relationships closest to me, the good ones and the hard ones, and the lessons I learned on how to bring more quality to our most important ones. The title just seemed to be a natural fit. In my songwriting, I am very poetic. I work hard to make every word count, spending hours finding just the right words to meld with a particular melody. It’s not just about rhyming. It’s all about the flow of the song and what it has to say. Each lyric is important. When it came to the book, I continued in that same writing style. Virtually all my songs and my book are about my personal experiences. I am very transparent in my writing and openly share not only the victories but the struggles on my journey. I have people tell me that is what draws them to my work – they find themselves either within the songs or the pages of the book. To craft your works, do you have to travel? Before or during the process? Not necessarily, although things like travel can bring on new inspirations. As creators, I think we are always chasing that muse. Sometimes she shows up in the everyday things and sometimes she’s a bit more elusive. That’s all over the place, but most recently, my wife Teri has helped me with that. That’s always such a challenging project. Whether it’s a book cover or an album cover, you want people who see it being intrigued. It’s everyone’s first impression. I think the biggest message in both my songs and in the book is that there is hope. For me, I am a man of faith and I draw my strength and hope from my relationship with my creator. I want everyone to experience that peace. I want everyone to feel love and acceptance and to pass that on to the next generation. Are there any new authors that have grasped your interest? Who is your favorite writer? That’s a tough one. I wish I had more time right now to enjoy other people’s creative work, whether that’s reading a book or listening to music. Sure, I listen to music a lot to see what the current trends are, etc. But I’m working on an album project and as most creators can attest to when you are in the middle of that process, it is all-consuming. I have to save reading for pleasure and listening to music for enjoyment for the times when I am in between new works. Outside of family members, name one person that supported your commitment to becoming a published author? Outside of my wife, who is my business partner and biggest supporter, I think my mentor, Tim Sweeney, was instrumental in encouraging me not to give up on my dream. He is the reason I wrote the book. His belief in my art and his support kept me moving forward when likely I might have given up. As far a songwriting, once I’ve recorded a song, it’s a finished work. It’s like a child birthed – I send it on its way into the world. Until it’s recorded, I’m always tweaking things here and there to make sure it’s the best it can be. As for the book, writing it was actually such a stretch for me. It was so outside of my comfort zone. It’s a completely different way of writing than creating a song. However, now that it’s out there, I’m not sure I would change anything. I felt inspired as I was writing it, totally in the moments of creativity. I think if you go back after the fact and change something, you’ve disrupted the flow of what that creativity released. I learned so much. The first is that I could do it. It’s a different process than writing a song. I’ve trained myself over the years in the craft of songwriting, but there’s a craft to writing a book, too. Gathering your thoughts and making sure you stay on target in your writing and making sure every word you use counts in telling the story. But I think for me writing is a cathartic exercise. Particularly the book. It forced me to work through some of my harder relationships, the ones that didn’t end up so good. Through being open and sharing my heart in my writing, I began the healing process from years of hurts. It’s an experience I wouldn’t trade. I’m not sure my work is suited for that. I would love for my songs to fit into a movie at some point. I love watching movies and hearing how songs perfectly compliment a scene or set the stage. I think it would be a thrill to have that happen with one of my songs. I think this applies no matter what you are doing – stay true to who you are or your art won’t be an expression of you. Making the creative process a profession requires a lot of hard work, a lot of self-confidence, a thick skin and continual evaluation of whether what you are creating is relevant. Success isn’t necessarily measured in financial terms. To me, real success is measured in the number of lives you inspire and the positive impact you leave on those around you. That’s not the definition of success most are looking for. Share one thing about you that will surprise readers? I’m not sure after listening to my songs or reading my book that there is much left to surprise anyone. I’m very transparent in my writing and share openly my love for my daughters, my wife, the importance of family, my struggles and joys, my hopes and aspirations, as well as my faith. Will you write another book? I will continue to write new songs as long as I am able, but I’m not sure about writing another book. My mentor thought I might have two or three left in me, but honestly, I’m not so sure that’s what I feel inspired to pursue right now. I look forward to being able to get back to reading once this album is released. My favorites to read are autobiographies and inspirational stories that can move and inspire me, books that help me become a better version of myself, both as a husband/father and as an art creator. (Maybe start by reading Cat’s Memoir! LOL ). It was probably back in grade school – I remember losing myself in “The Adventures of Tom Sawyer” and “Charlie and The Chocolate Factory.” Both books open your mind to vivid imagery as you are reading and they still stand out to me today. 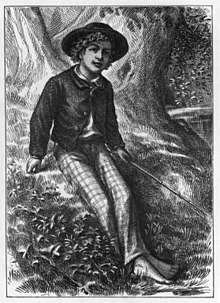 The Adventures of Tom Sawyer, 1876 1st edition. Is there one person, past or present, you would love to meet? Why? For some reason of late, I’ve been thinking about Abraham Lincoln. Probably because of all the craziness in our government right now. He was such a man of integrity. I think that’s hard to find in today’s politicians. I would have loved to sit down with him for a chat. I love good food and movies. If I hadn’t become an art creator, I think I would have loved to be a food critic. I can’t imagine anything more fun. I listen to a lot of music on a more critical basis to see what current trends are. When I have time to kick back and listen for the pure pleasure of it, I always go back to what first inspired me. I think the music that still moves my soul comes from the 70s singer-songwriters. It has that comfort feeling to me like being home. Imagine a future where you no longer write. What would you do? I hope I don’t see that future. Being a songwriter is part of who I am. Even if I no longer pursue it professionally, I hope I never have to give up this passion I have for making music. What do you want to be written on your headstone as part of your Legacy? Wow, that’s a tough one! I believe that our legacy is not in our worldly accomplishments – fame, fortune, title. It’s in the quality of the relationships we build and the love we share along the way. I would hope that my headstone reflects that this is exactly how I lived my life. Do you have a blog or website where readers can visit for updates, events or updates and Connect with you on Social Media? Absolutely – you can find me at John Tracy Music. I am also all over social media – Twitter – Find me there @johntracymusic – Instagram – And on Facebook too! It’s been a pleasure! Thank you so much for allowing me to share my passion with you. What a delightful and honest character he is !